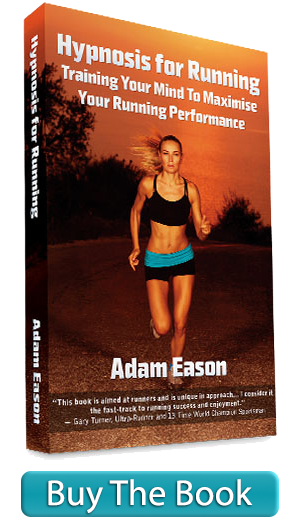 Hypnosis for Running Weekly Mileage Log – Getting Faster? Wed: 14 miles, general pace. Fri: 11 miles, general pace. Sat: 6 mile recovery run, then 3.2 mile ParkRun pushing my son in his buggy! Sun: 21 miles at Sunday Long Run pace. I totalled 70.5 miles, a second successive 70+ mileage week and all in all, I am coping well. As usual all runs are recorded over at Strava if you’d like to see the routes and my pace etc. I struggled with the early miles of this week’s Sunday Long Run because I ended up doing a lot more miles and at much faster pace than I had planned on the Saturday before. My son, who is not quite 4 years old (you have to be 4 to be permitted to run a ParkRun, but I thought it would be fine for him to have a go if I had the buggy on standby. I am not sure what my own expectations were and why on earth I thought that my 3 year old son would be able to run 5km. I ran with the back marker when the hooter sounded to start, and we ran for about 100 metres before my son said he was tired. He managed to run a mile in 8 minutes and 30 seconds and I was amazed, and from there he jumped in the buggy and ordered me to go faster. I then ploughed through the field of runners and came home with a bit of pace, but used too much effort all things considered. I needed my coffee before Sunday’s long run. The long run was not the toughest run this week though. The lactate threshold run on Tuesday was very challenging. I had to run the central 5 miles at 6 minutes 15 seconds pace which I struggled to maintain. The second mile was a 6 minute one though and I think I blew myself out by not paying attention more closely to my pace on my Garmin. I got it done and was pleased to get home that day, although it did zap me of energy later in the day and I slept well that night. That is the key that I am noticing with my current training schedule – the general miles are being run slower than I am used to, as I mentioned last week, but the fast runs are giving me more of a workout than I am used to – and I am really notice the difference. Most noticeable is my basic general pace – I am struggling to keep it slow enough, my body just wants to naturally run faster as I am getting fitter and faster, I consider this a good sign. Getting My Chunky Legs To Feel Light as a Feather When Running Using Self-Hypnosis. Using Self-Hypnosis to Get Light Legs and Bouncy Feet When Running. That is it for now, just a brief update this week, I’ll be back soon.